Trust us- our property inspires you like no other! Looking for that special place to inspire you, and relax you and your family like no other? This unique, 1 bedroom, 2 bath condo (6-208) with a beautiful garden view sleeps 2-4 people. Beautifully remodeled with granite kitchen counters and tile floors throughout, offers you a tranquil place of style to explore Maui and relax into life in paradise. The resort community boasts wonderful amenities including walking pathways through exotic gardens - leading to the nearby Kamaole III beach for swimming, snorkeling and more. Feeling like staying close to home - please do! And enjoy the crystal clear waters of the pool, Jacuzzi, cozy clubhouse, fitness center, and more! Close to golfing, hiking, SCUBA and snorkeling tours, plus a quick walk to restaurants, shopping and the arts. Who says you can't have it all - come visit us and find out how! Kamaole Sands is a beautiful, South Kihei resort, located directly across from Kamaole III Beach. Maui's best beach is a 2 minute walk from your front door. These are beautiful, golden sandy beaches that are perfect for sunbathing, swimming, snorkeling, and romantic sunset strolls. They consistently rank among the world's top beaches. This unit has been completely remodeled. King Tempurpedic bed, flat screen TV and a new ceiling fan, and a stand alone air conditioning unit complete a very comfortable bedroom. Fully loaded chef's kitchen, Brazilian granite counters with island, tile floor throughout, updated/modern lighting and ceiling fans. A very romantic setting. An entertainment center with 55" T.V. and nearly 100 movie library. Air conditioning unit in main room too. Both bathrooms boast stone tile and glass block walk-in showers and granite vanities. Contact us today and fall in love with the lifestyle of Maui, Hawaii! Enjoy life and live your dreams today! A $35.00 (plus tax) mandatory resort fee is due upon check-in, per reservation, and is paid to Kamaolé Sands. Electronic entry gate codes, pool gate codes and a parking permit are provided when guests register. 5. Wednesday Mai Tai Pool Party 3:00 - 4:45p.m. Aloha! We both grew up near the ocean and have always been lovers of the beach life. Now that we live in the desert of Arizona we definately take our much needed and anticipated break away every summer to beautiful Maui. We were married on Maluaka Beach and return every year on our anniversary. Across the beautiful resort garden, 2 minutes! Both in the main room as well as the bedroom. There is a $35.00 (plus tax) mandatory resort fee due upon check-in, per reservation and is paid to Kamaolé Sands. Electronic entry gate codes, pool gate codes and a parking permit are provided when guests register. In addition, the Resort Fee includes the following amenities: 1. Free morning newspaper – Maui News (available at lobby or pool) 2. Free Maui Magazine 3. Free local calls & 800 calls 4. Complimentary Internet Service 5. Wednesday Mai Tai Pool Party 3:00 - 4:45p.m. We had a great time, condo was exactly as the pictures. Our only frustration was trying to find a door code took 5 tries before we found one that hadn’t already been used. Other than that it was wonderful. Great location well maintained grounds.We would come again and recommend this condo to friends. We loved our stay in this condo. The condo was just as described. It was clean, conveniently located, and very well furnished. I would definitely not hesitate to stay there on my next vacation to Maui. There was just one small issue, and it was that the drier did not work from day one. We were told that it would be fixed ASAP but after 6 days it never got fixed. Other than that, our stay at this condo was great. I look forward to staying there in the future. Our first time in Maui and we LOVED this condo! We hope to visit again. Condo is beautiful and a short walk to the beach. It has all that you might want to play at the beach (towels, chairs, toys, boogie boards) as well as what you need to relax comfortably inside (nice TVs, comfy sofa, movie selections, king sized bed & 2 bathrooms.) This place is a jem. Another awesome stay ! ! Our 3rd vacation at Kamaole Sands, it was like coming home again. The property was as beautiful as ever. Condo was exactly as pictured on VRBO and then some. We especially liked the his-and-hers bathrooms, very comfortable king bed, in-unit stacked washer and dryer, big beach towels and Tommy Bahama chairs. 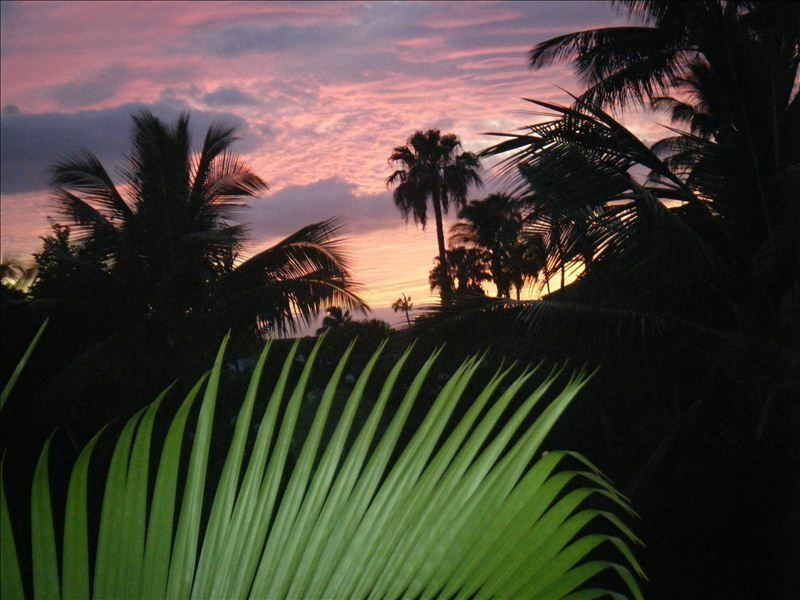 Kihei is a great location whether you are going east or west exploring the island. As it said on the pillow, this was our HAPPY PLACE for three weeks. Free Mai Tai party and live music every Wednesday by the pool. Free 'welcome' continental breakfast your 1st morning on the island.